The helpful tips in this review will enable you to handle a pair of the sunglasses correctly and enable you to use it for long. The pros and cons of the sunglasses will enable you to make an informed decision on whether to buy the sunglasses or not. If you want to get the best pair of video sunglasses, familiarize yourself first with the features you need to look out for when going for one. Do your research and seek advice from a friend with information on these types of sunglasses if you do not want to get duped when purchasing such a pair. OhO Sunshine Video Sunglasses have a lightweight frame that enables you to wear a pair for long without suffering from pressure on your nose and face. 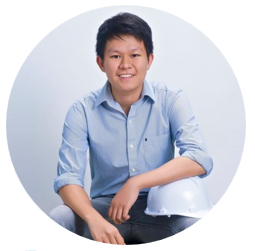 The sunglasses have an impact resistant frame that helps to shield your face and eyes from flying dust particles. The legs of these sunglasses fit perfectly without hurting you at the back of your ears. With the sunglasses, you’ll also never get red marks or imprints on your face. The sunglasses are very comfortable to wear. OhO Sunshine Video Sunglasses have polarized lenses that protect your eyes from sun’s glare. When using the glasses, you’ll never experience color distortions or blurry vision even when underwater. The sunglasses also have an anti-UV coating that keeps your eyes safe from the dangers of the harmful UV rays of the sun. The sunglasses record an amazing 1080p ultra full HD resolution video enabling you to see all the activities you’ve carried out during the day. The videos recorded come with audios and crisp photos. The sunglasses have a one-touch button operation where you touch once to record a video with audio. You also touch once when you want to turn it off. You will receive a vibration alert when recording starts. The same will also happen when capturing photos. The good thing about these video sunglasses is that you can use a pair even when underwater as they have a waterproof feature. You can also use them for all water sports. When using the sunglasses, you won’t worry about storage space since they come with a built-in 32GB memory that will enable you to record as much as you can. The sunglasses come with a USB cable that allows you to play back your videos on a computer or TV. These sunglasses come with a free charger, a USB cable, a carrying case, a cleaning cloth, and a floating strap. The USB cable helps you to play back the recorded videos on your TV or computer while the carrying case makes it easier for you to carry your sunglasses along. A cleaning cloth makes the cleaning process easy and also keeps the lenses of your glasses safe from scratches. The floating strap, on the other hand, helps to hold the sunglasses in place when recording on the water. OhO Sunshine Video Sunglasses will help you record all your sporting activities and give you a high-resolution video at the end of the day. The glasses can record more than what your eyes can see and will thus give you a breathtaking experience. With these sunglasses, your eyes will remain safe from damage by the dangerous UV rays and sun’s glare as well. The glasses will also keep your eyes safe from dust and other flying objects since they have high impact resistant lenses and frame. These sunglasses come in a decent design that will make you look terrific in them. A pair of the sunglasses will give you a fashionable look that will make your friends nag you with questions of where you got them from. These sunglasses will also enable you to have so much fun than you’ve ever before. 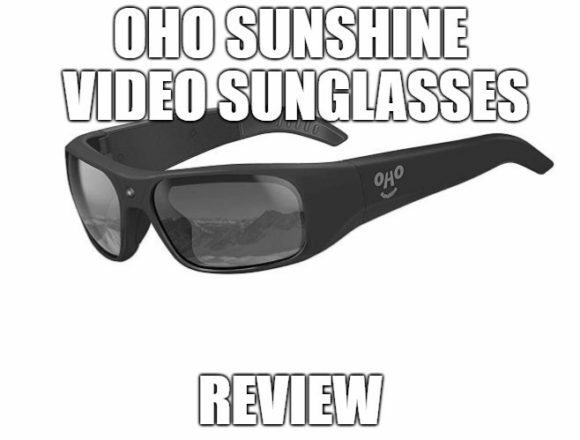 OhO Sunshine Video Sunglasses come at a reasonable price if you compare it to functionality. It costs for less than $90. Imagine getting a video record of what you’ve been doing all day at no cost. If you were to pay someone to take a video of your daily activities, it would cost you a lot of money. The sunglasses do not come with a hard case, and you thus need to purchase one for the safety of your pair. The sunglasses take an hour to charge fully, and you should never overcharge them. Doing so will destroy the battery. Always use the cleaning cloth to clean the sunglasses. Keep the sunglasses far from the reach of children if you want to use them for long. OhO Sunshine Video Sunglasses will enable you to record your daily activities and have fun as well. The sunglasses will also ensure that your eyes remain safe from UV light and sun’s glare as well. If you choose to purchase a pair, you’ll have gotten yourself a ticket to a world full of fun. Click here if you want to learn more about OhO Sunshine Waterproof Video Sunglasses.